I returned of my trekking through the Altar and its beautiful Amarilla lagoon and I began my journey through the ¨Huecas¨ of Quito. 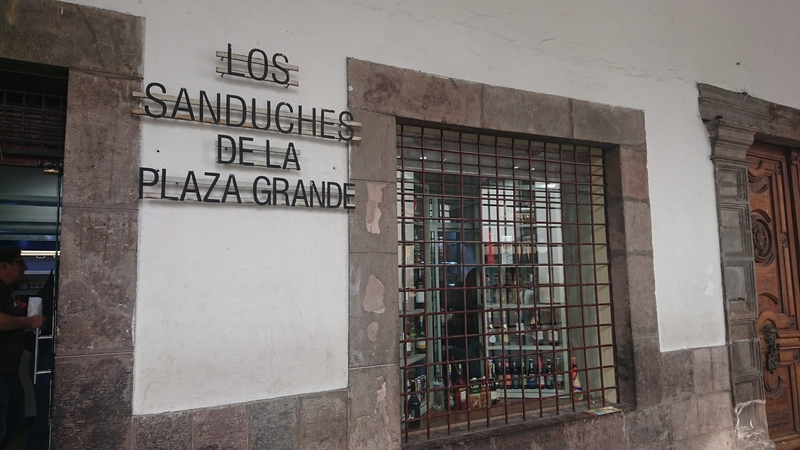 The first place that I visited was the market of Santa Clara, that if you take the Trolebus you have to stay at the bus stop with the same name, and go up two blocks to get to the market. 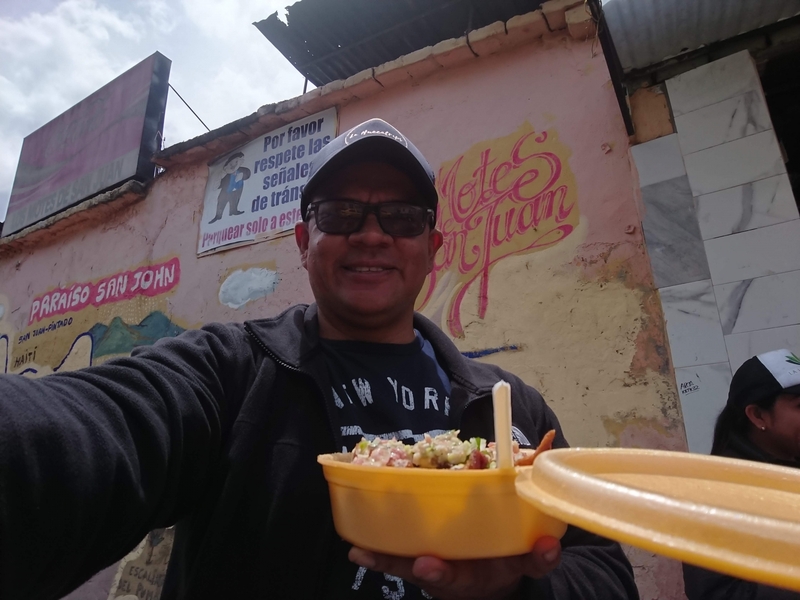 Here we are going to find a variety of dishes but as I was just arriving to Quito so the first thing that crossed my mind about eating was a hornado with a value of $ 4 you can taste this delicious dish. After to eat my Hornado, I asked for a glass of orange juice that is not mixed with water only pure extract of orange with a value of $ 1.50. A good breakfast that would keep me satisfied all the morning. I went to the historic center and I had heard of one of the most famous ¨Huecas¨ of Quito and as I had not visited any on this occasion I decided to go there this place called the Motes of San Juan, I wanted to go using the Google maps but the hills to get to this place were a lot, so I decided to take a taxi that with a value of $ 2 took me to this small place. 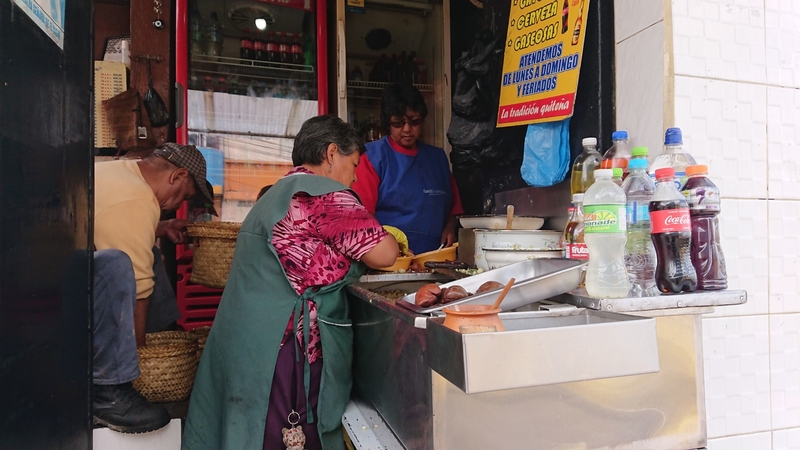 Los Motes of San Juan is located in the neighborhood of the same name,it is located in a small place where there was no place to sit, but that did not really bother me, the owner told me that I could sat in a place in front of this place where they sold juices. I felt comfortable where I was eating, standing up with my container of mote. 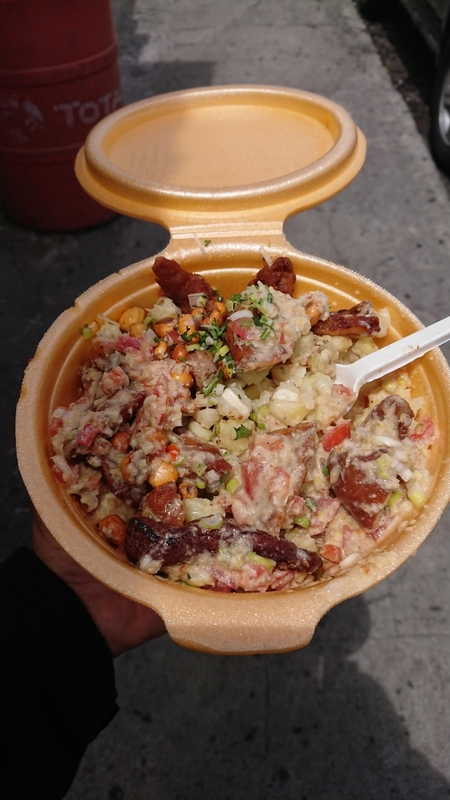 The container of Mote has a value of $ 4, it is the best mote that I had eaten. I had eaten in many places but this one has an incomparable flavor. Good price and kindness that is what most love of this picturesque place. If they ask for the mote with chili, you will not regret it, definitively you should try it if you like spicy. 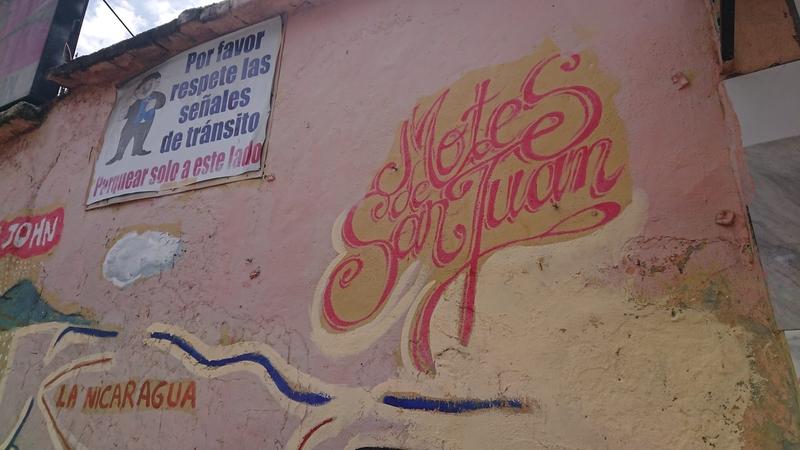 The Motes of San Juan a place that I loved and I will definitely have to return on my next visit to the capital. Finally the afternoon ends and I was walking through the historic center exactly on the Plaza Grande as it was a holiday, street artists were cheering the afternoon and I remembered that there was a ¨Hueca¨ called The Sandwiches of the Plaza Grande, this traditional place is visited by a lot of people, this sandwich make you not want to eat anything else, good size and flavor make you want to eat more than one. The values are between $ 2.50 and $ 6.75. 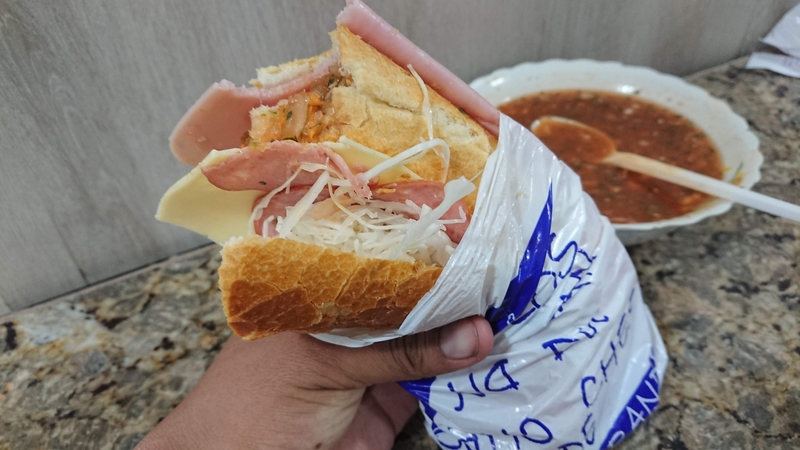 If you are in the Plaza Grande definitely a sandwich of these you must eat. 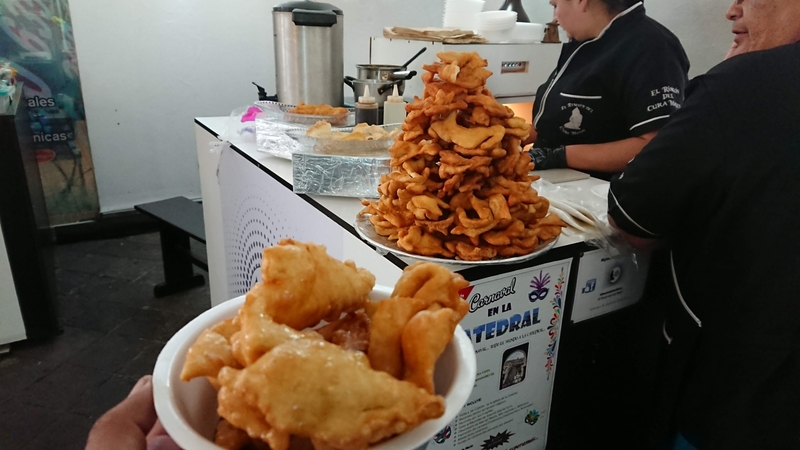 Quito and its ¨Huecas¨ is something that I need to know more, about to continue visiting new places to taste these flavors of my country that are little or very well known but that I need to discover.